GO Transit is dedicated to delivering faster commutes. 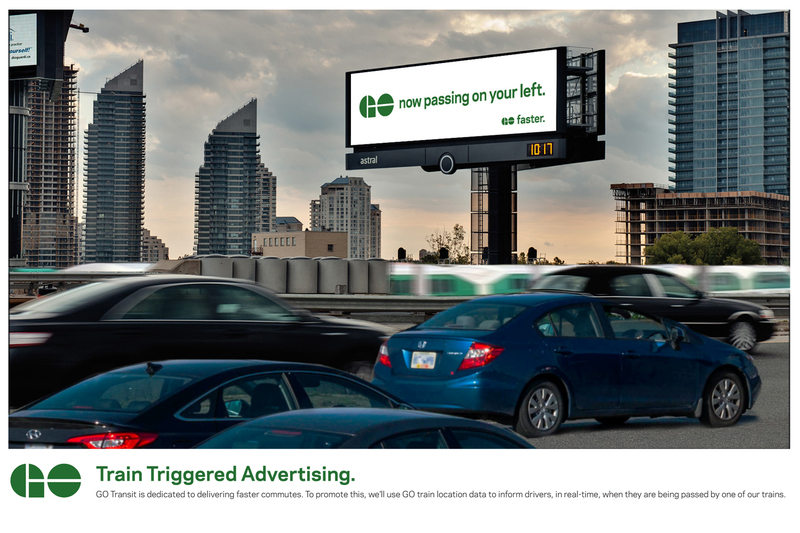 To promote this, we’ll use GO train location data to inform drivers, in real-time, when they are being passed by one of our trains. 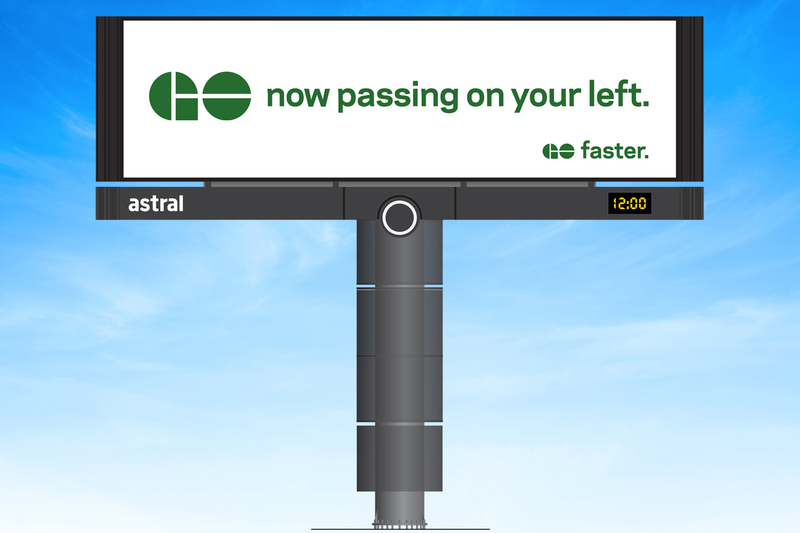 Here we’ve selected one of the available Astral boards along the Gardiner Expressway for optimal placement of messaging beside the GO Train route. 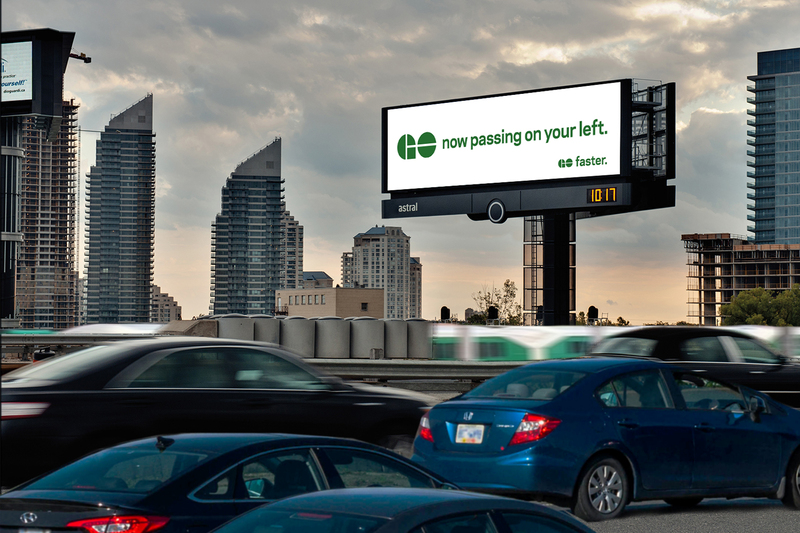 Also, traffic on The Gardiner Expressway is often bumper-to-bumper during peak commuting hours, which helps reinforce our GO Faster messaging.